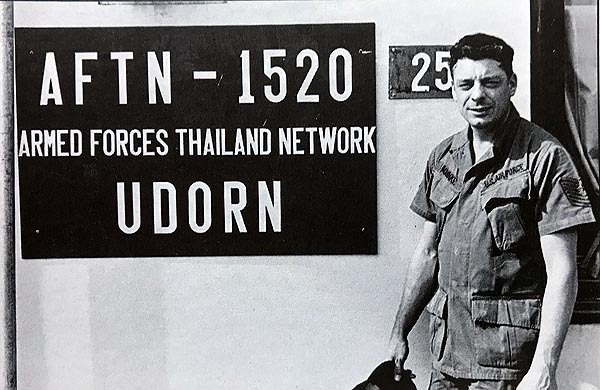 A1C Brad Edwards outside of the Udorn AFTN station in l970. 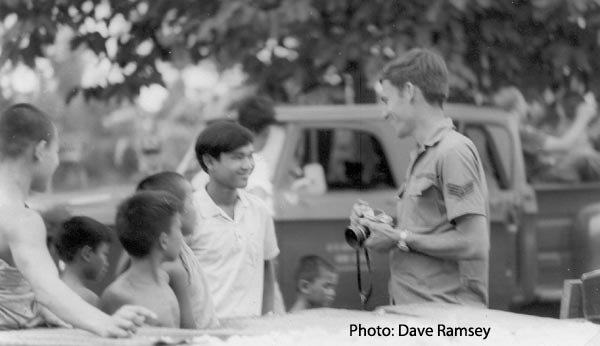 Sgt Dave Ramsey, called away from the AFTN station on the afternoon of April 10, 1970 to do a photoshoot for MEDCAP outside of Nong Kai. 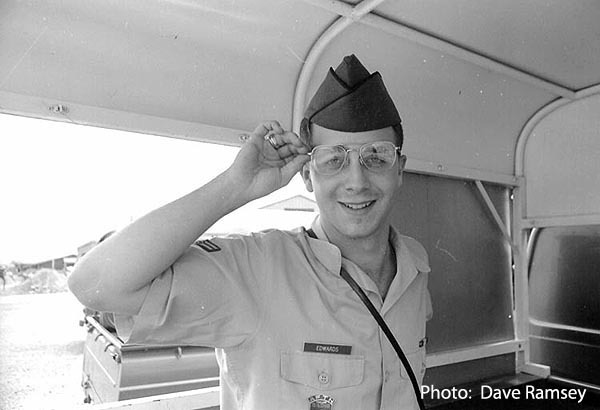 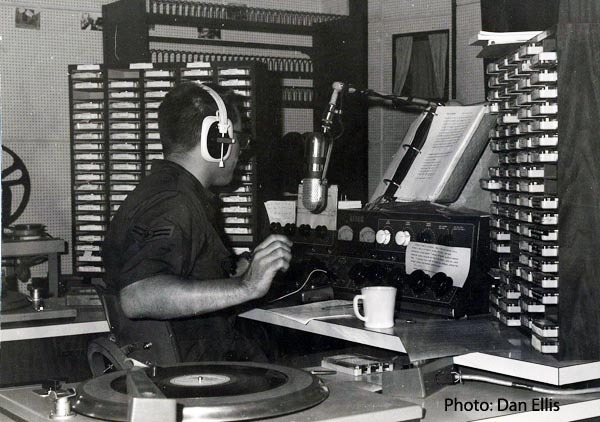 Only after he returned late that afternoon would he discover that a pilotless RF-4 Phantom had hit the station and killed nine of his fellow broadcasters.